Discover the secret history of the war in Russia: a vast land under the thumb of a brutal regime; a downtrodden yet determined population who have seen many horrors, not all of them of man’s making; and a land where giant machines of war rage across the countryside, terrorising all in their path. 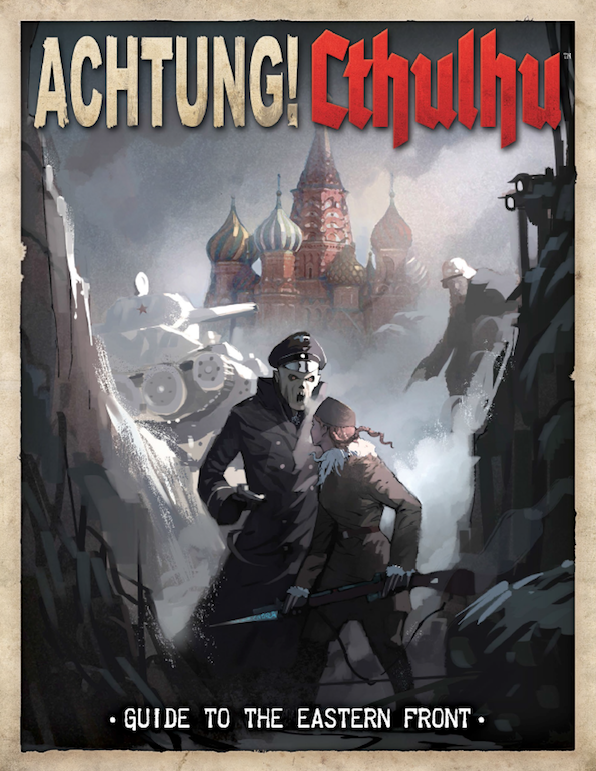 Get the Achtung! Cthulhu Keeper's & Investigator's Guide Bundle ! Will there be a Fate conversion for these supplements?